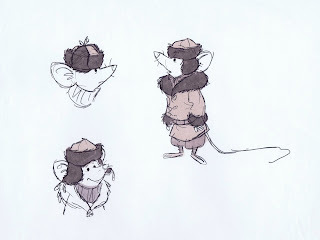 What a challenge this must have been. 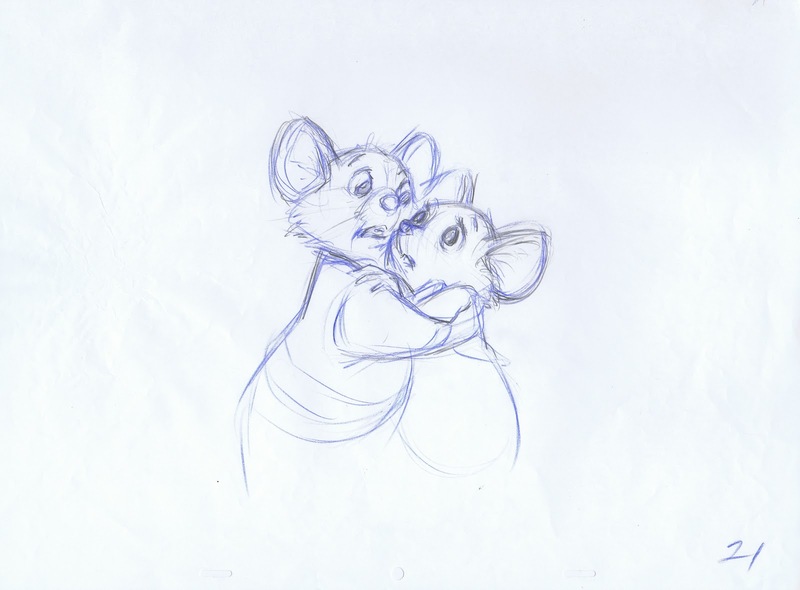 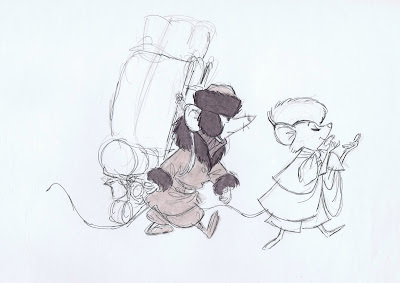 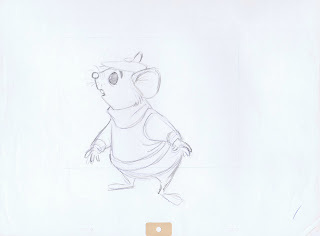 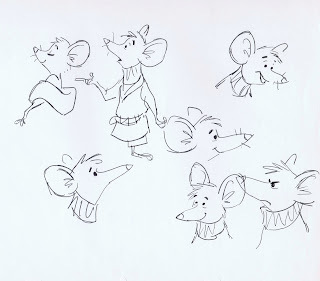 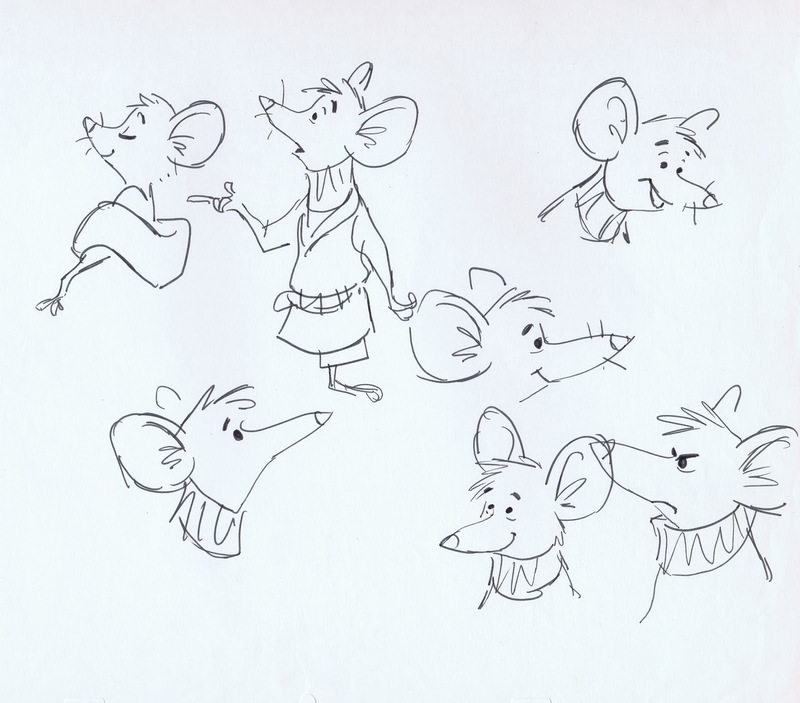 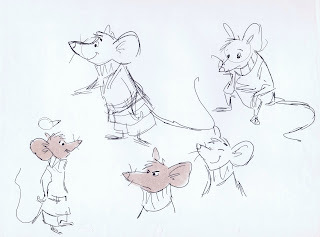 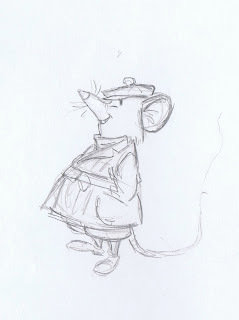 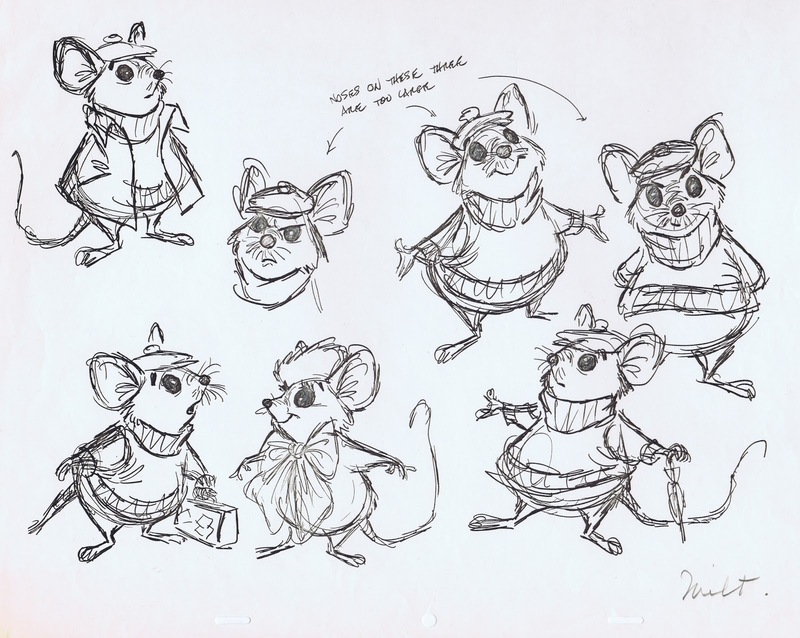 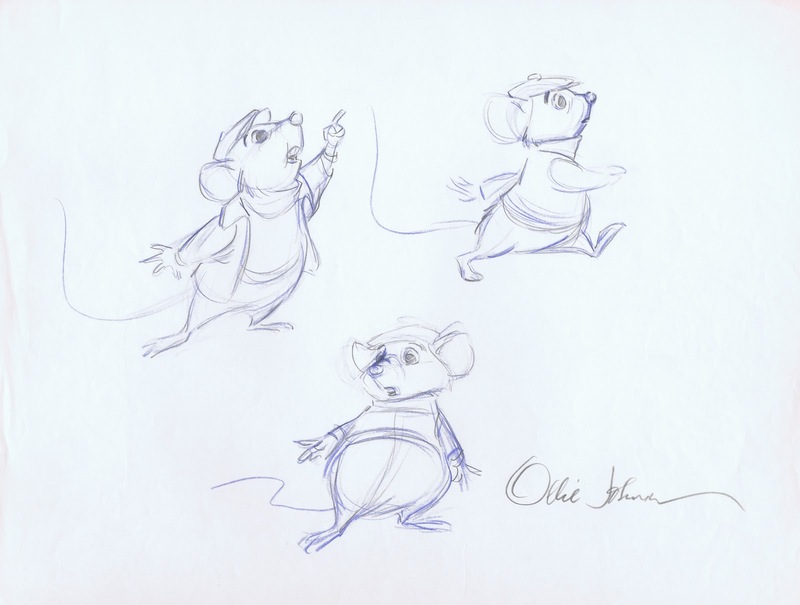 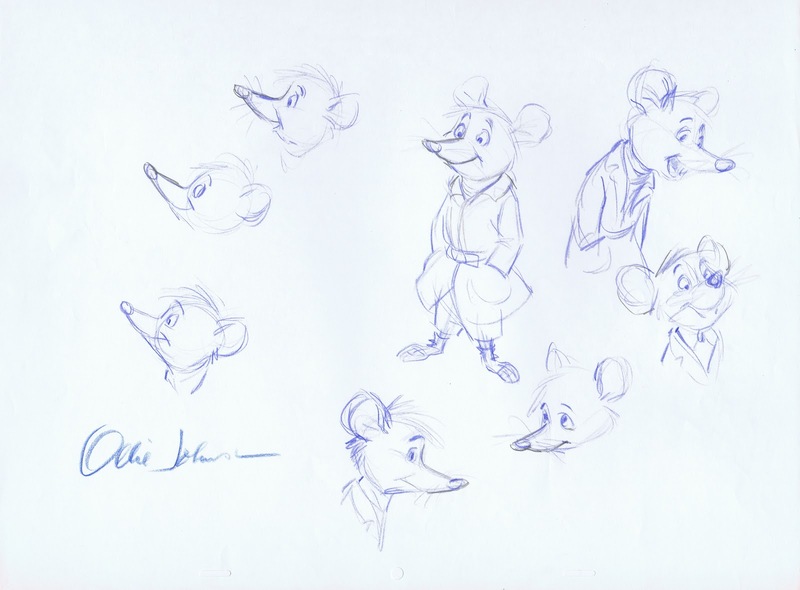 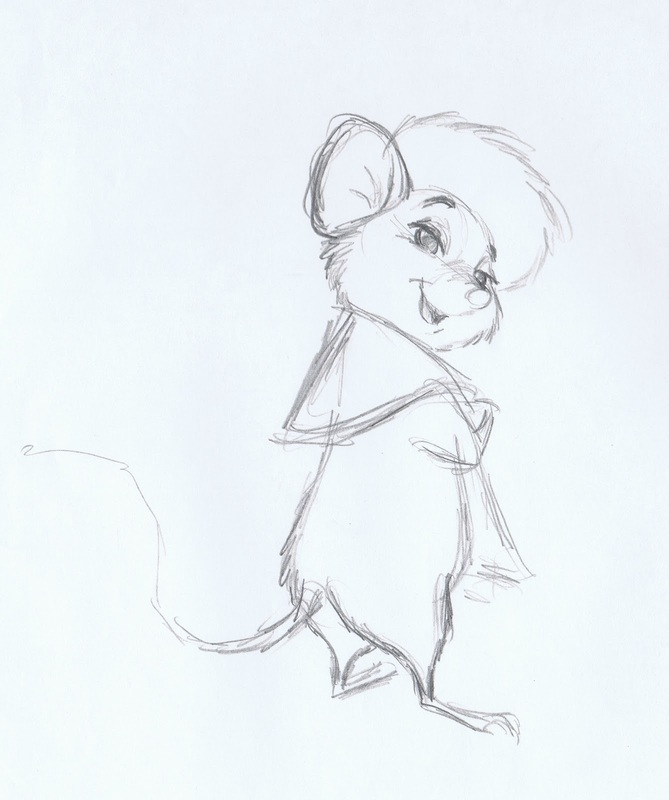 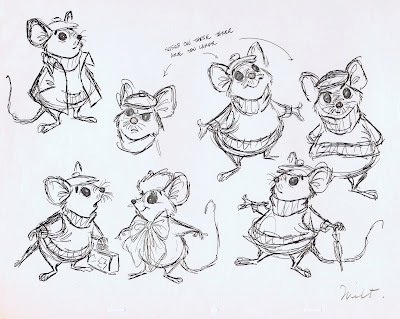 How do you design interesting looking mice for a new Disney animated feature, produced in the mid seventies? Over the years animation studios had used an endless variety of mouse characters, so to come up with new concepts for these rodents wasn't easy. 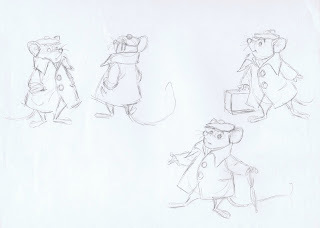 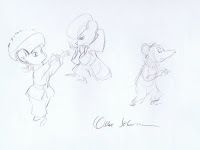 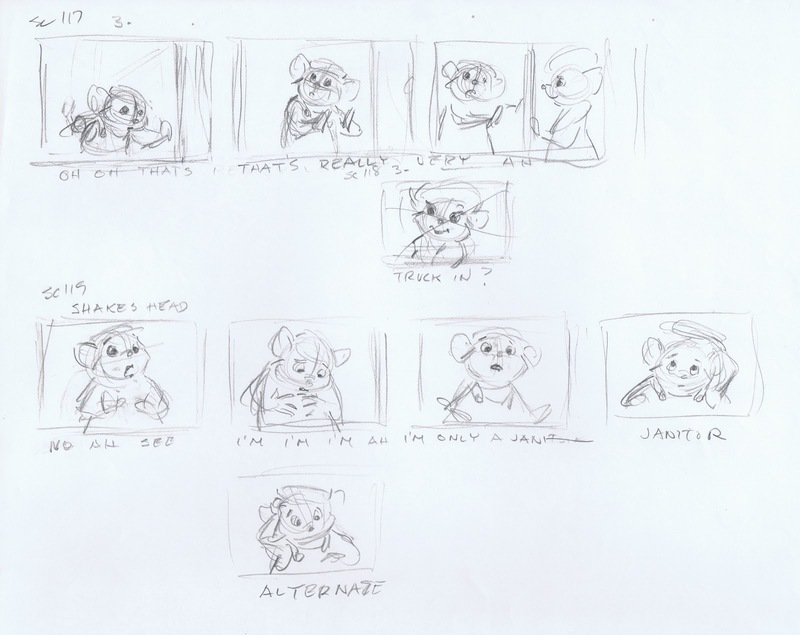 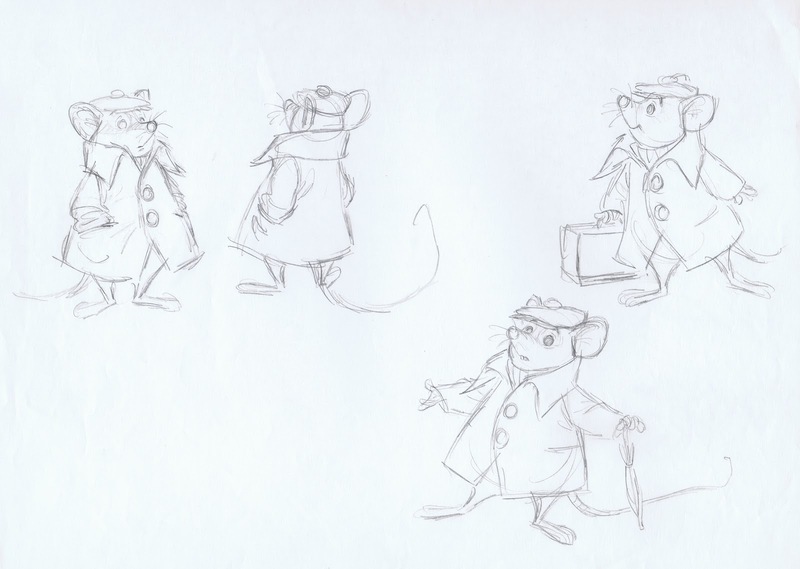 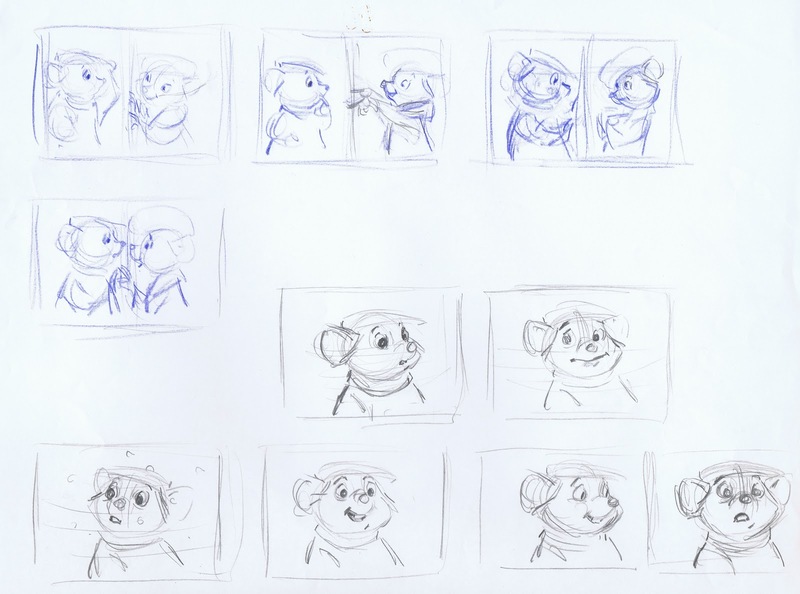 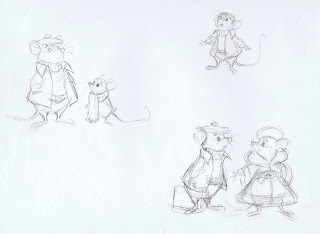 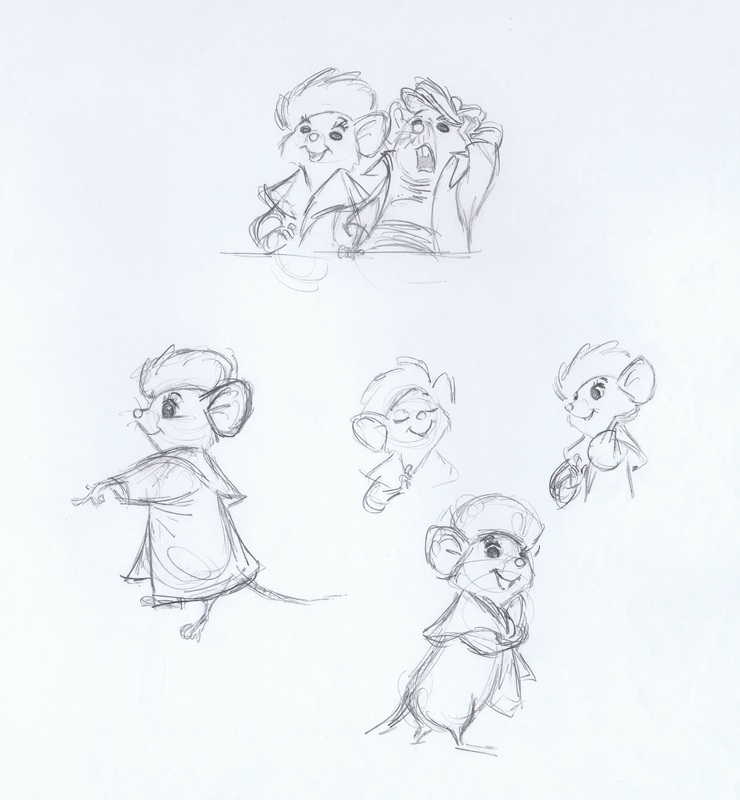 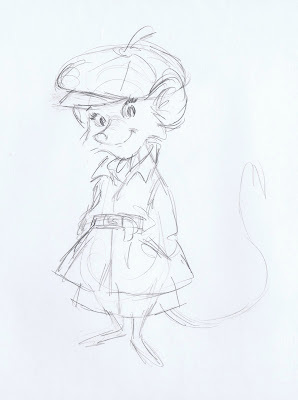 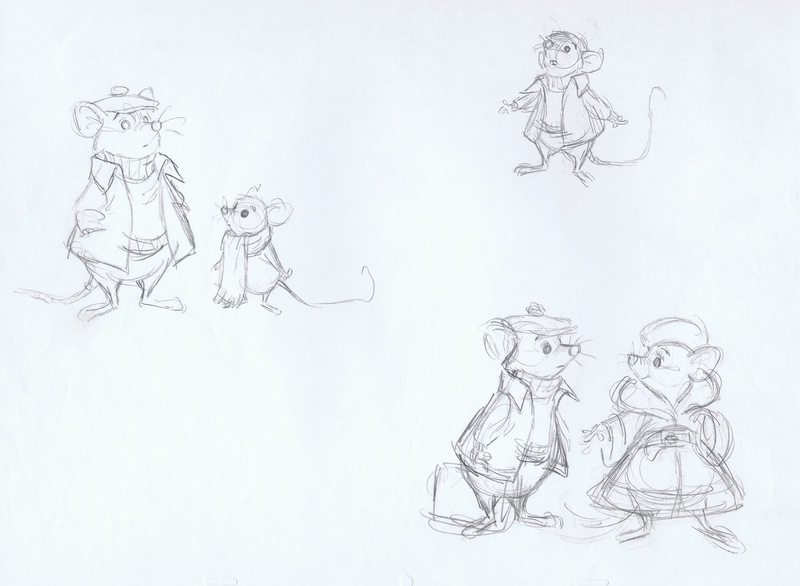 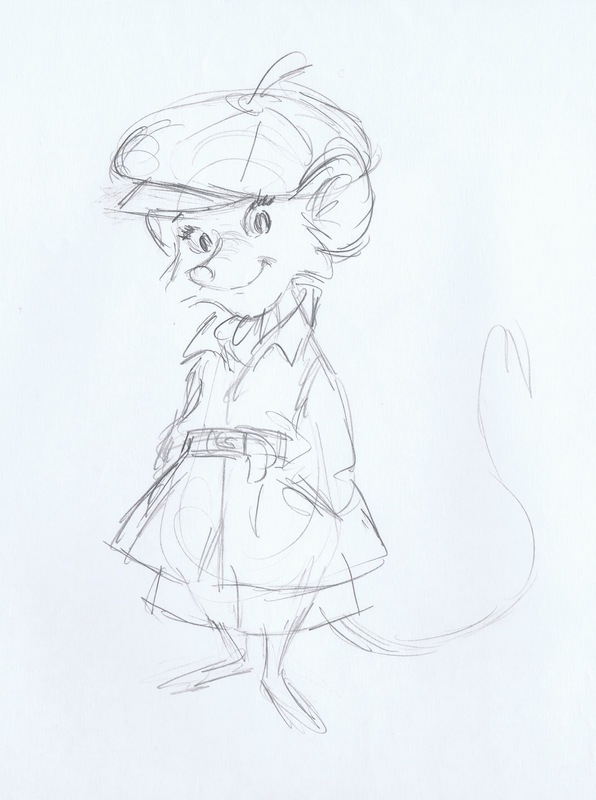 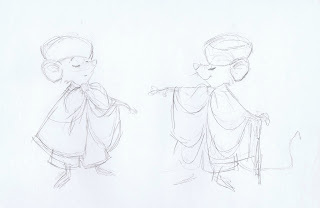 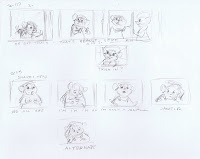 Newcomer and story artist Fred Lucky had spent some time developing The Rescuers as an animated film, and these are some of his design suggestions. 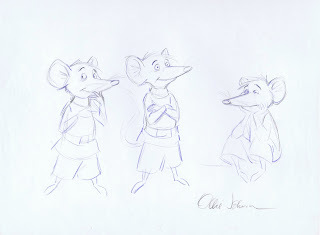 They might not show a lot of appeal yet, but at least they are different. 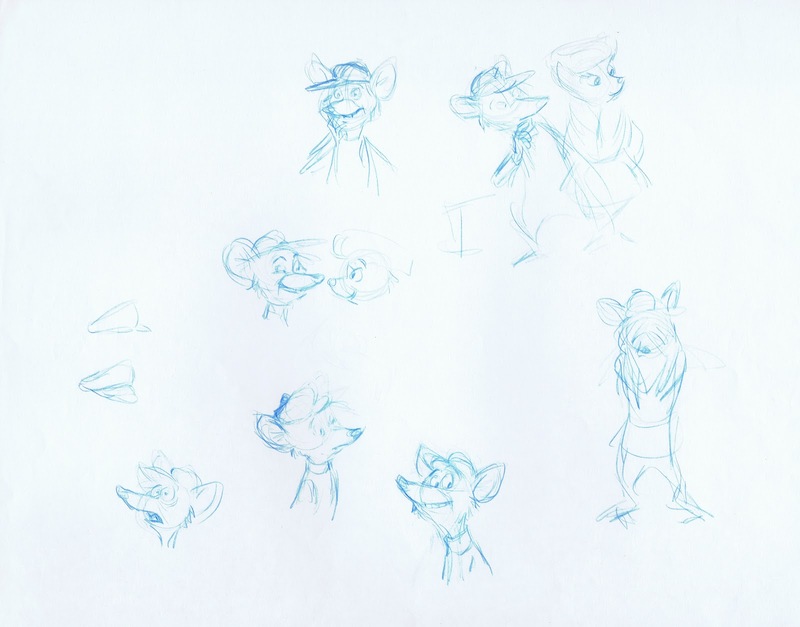 Here is a look at how Milt Kahl, Frank Thomas and Ollie Johnston approached these two characters. 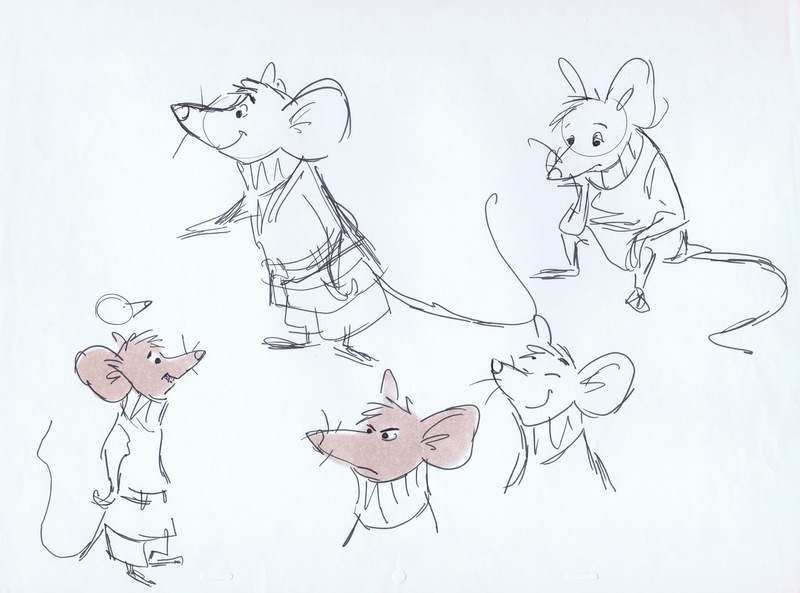 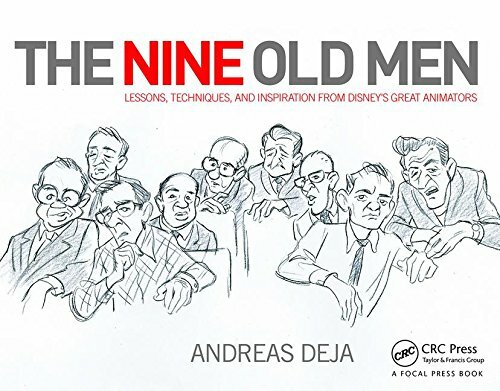 Milt Kahl tried to incorporate some of Fred's ideas into his own design research. 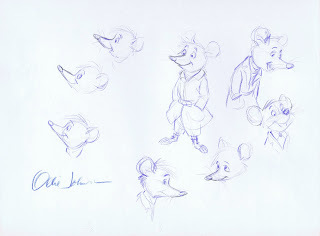 Milt is definitely trying something new here, these sketches almost look like he drew them left handedly. 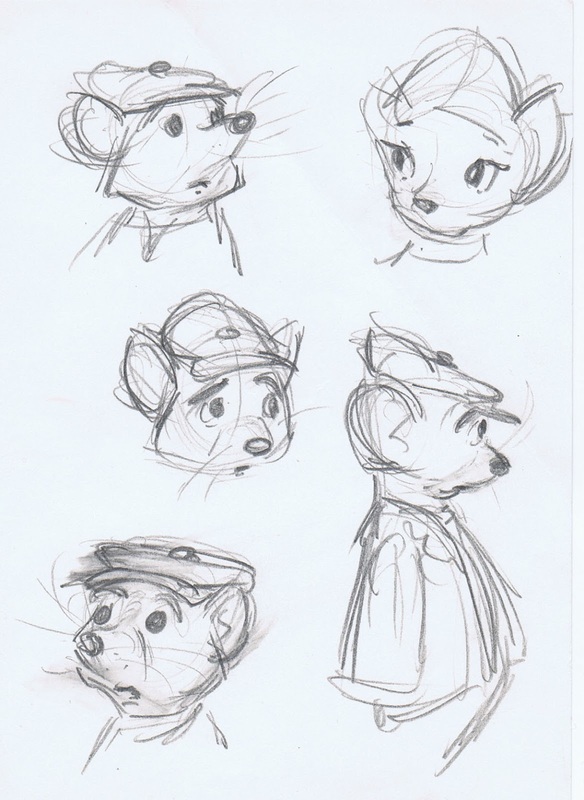 Proportions and volumes look a bit more solid in these pages. Just an awesome sketch, period! 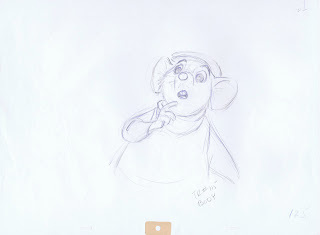 Still a long nose, but chubbier than earlier versions. 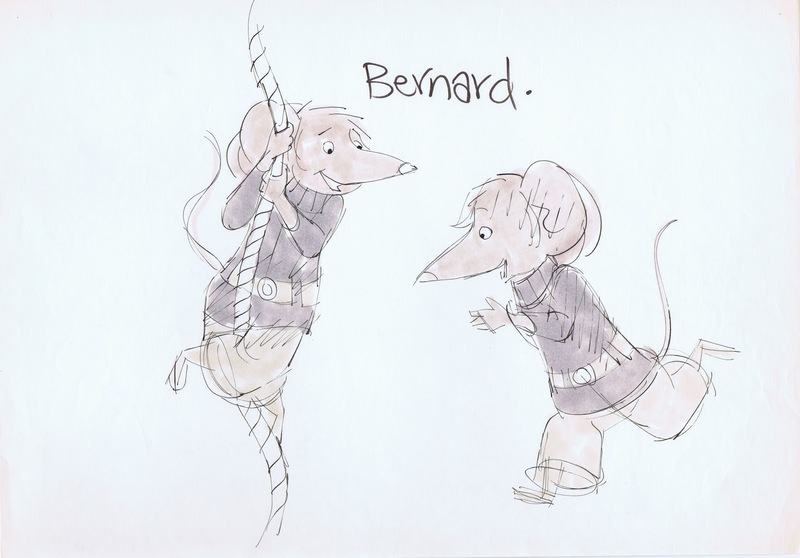 I do like this Bernard quite a bit. 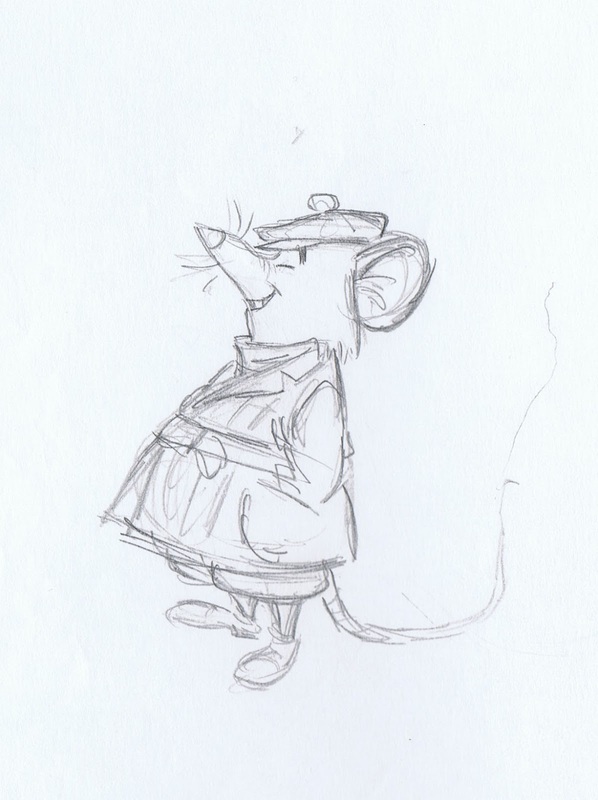 The idea here is to treat the eyes like real mice, just large black dots. 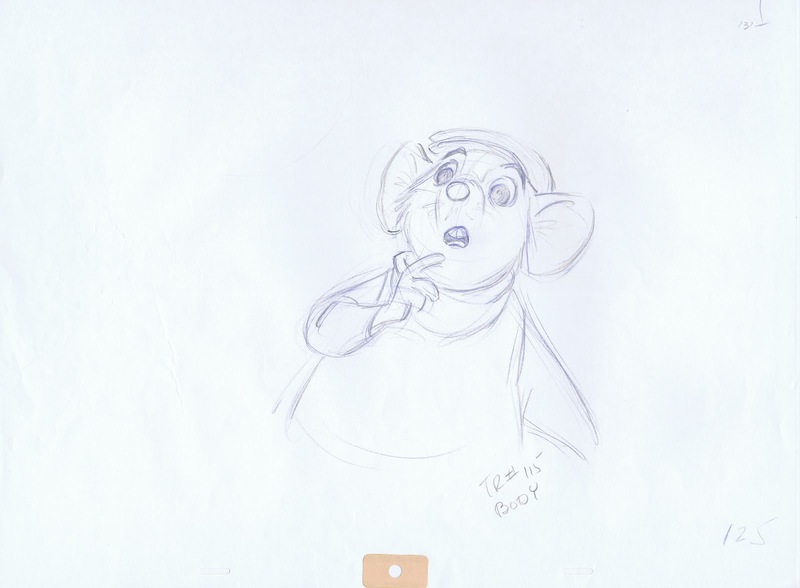 It limits the range of expression somewhat, and tends to look kind of spooky. 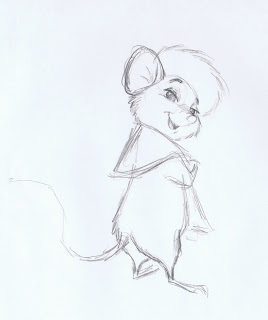 Milt then applies what I call the Robin Hood formula, only the ears and the tail remind you that these are mice. 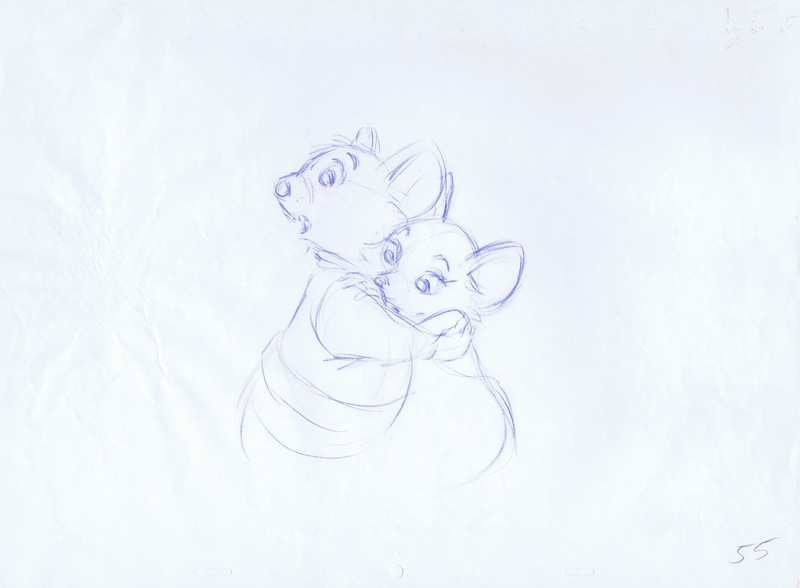 After the noses got shortened these versions were approved as final designs. Frank Thomas explores early design concepts. 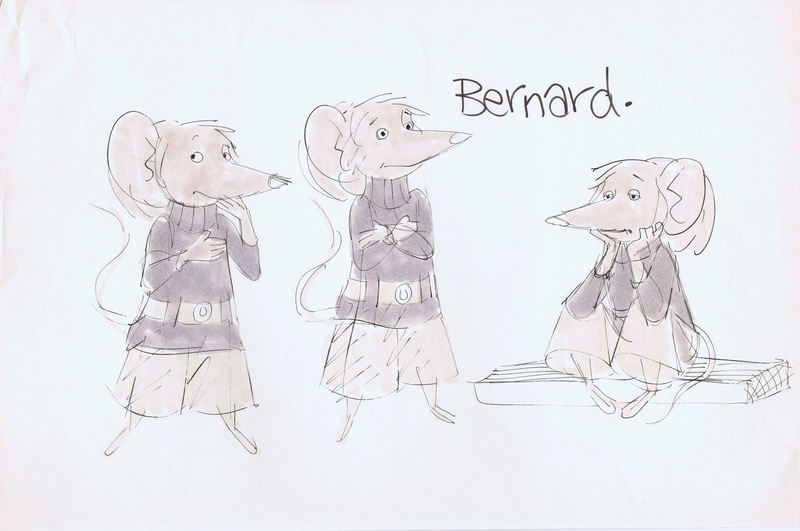 These pages show how Frank stages the situation in which Bernard and Bianca meet for the first time. Simple scribbles that reveal acting possibilities. 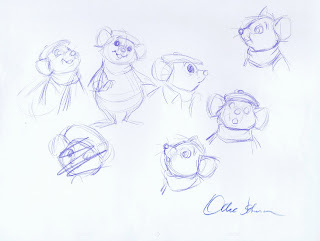 A few charming Thomas key drawings from an actual production scene. 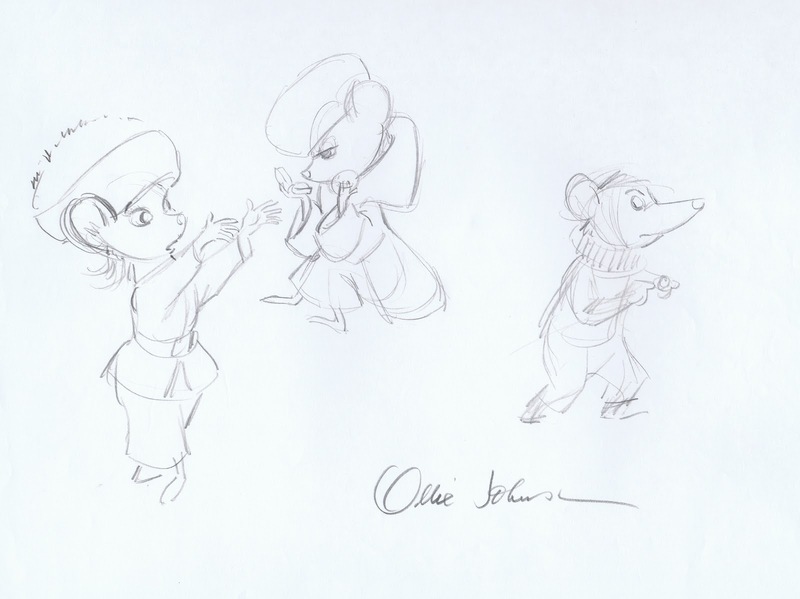 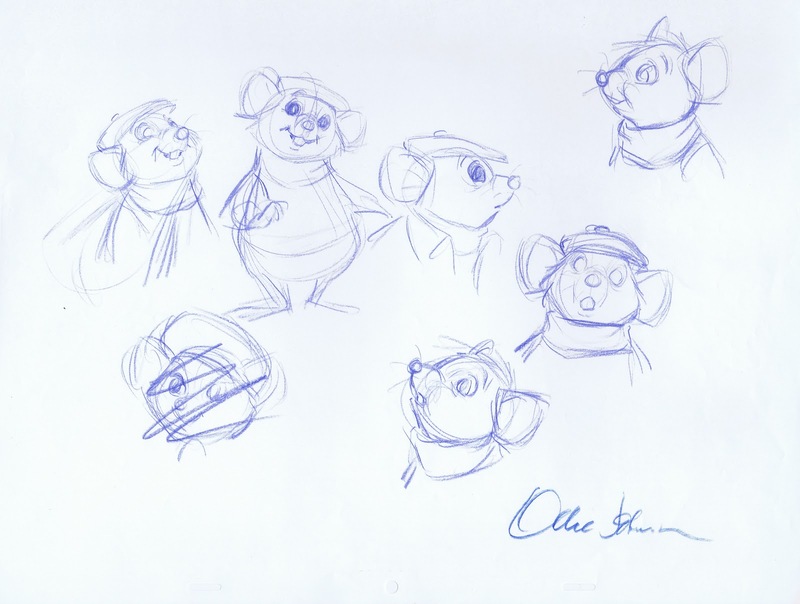 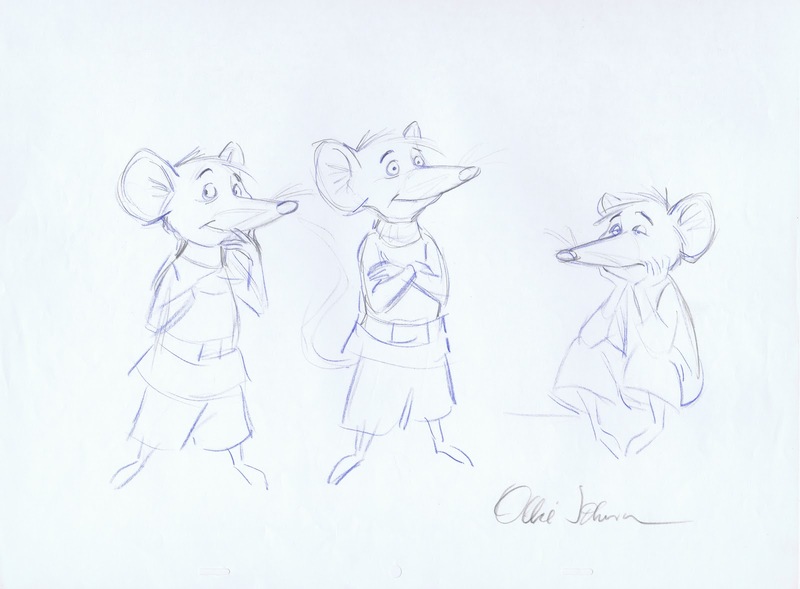 Ollie Johnston tries out various proportions for anthropomorphic mice. 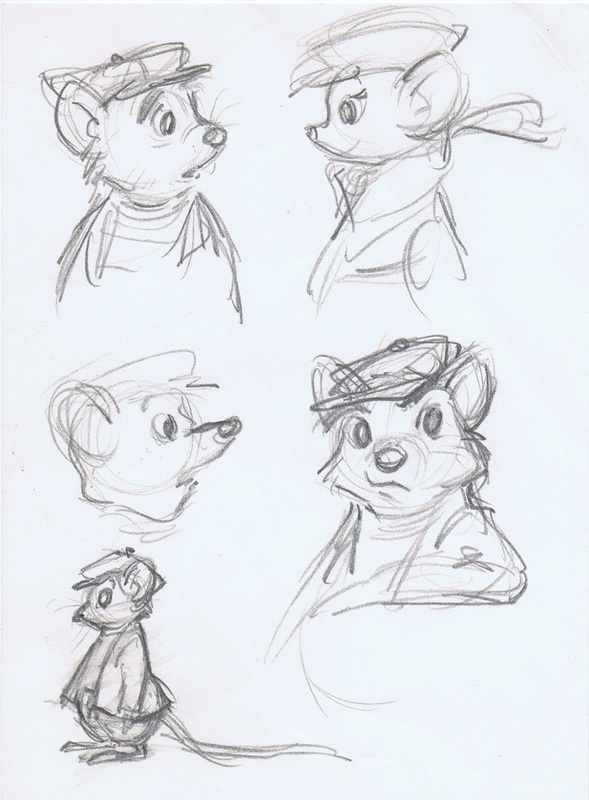 And this is his take based on Fred Lucky's sketches. 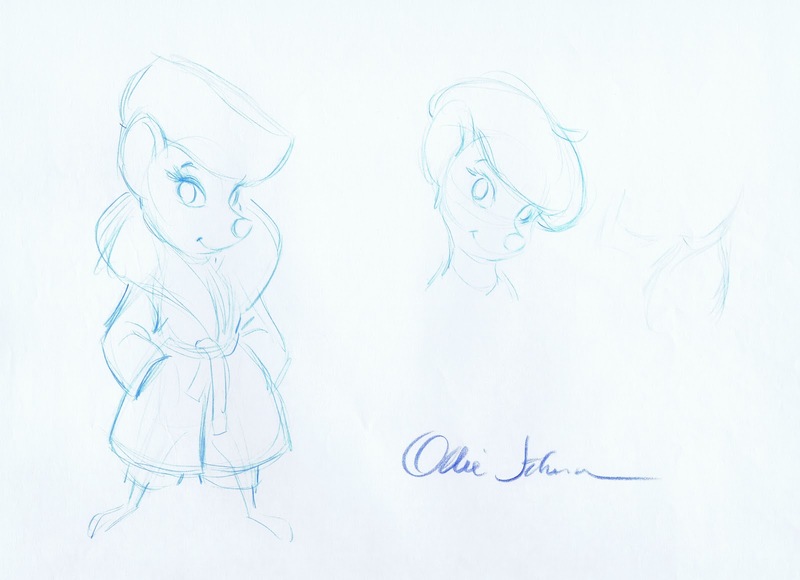 Then Ollie explores a concept that for some reason resembles Basil of Baker Street, a character that would make it to the screen quite a few years later. 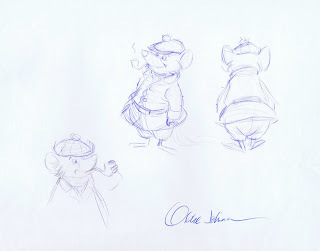 Ollie's chubby, long nosed version. 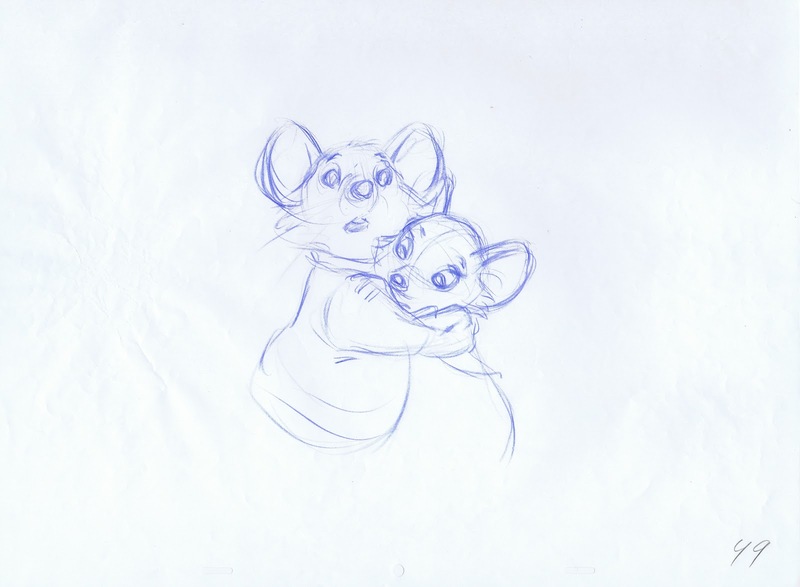 Again, these huge black pupils wouldn't have worked. 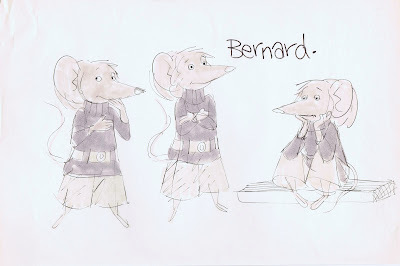 Bernard as he appears in the film. 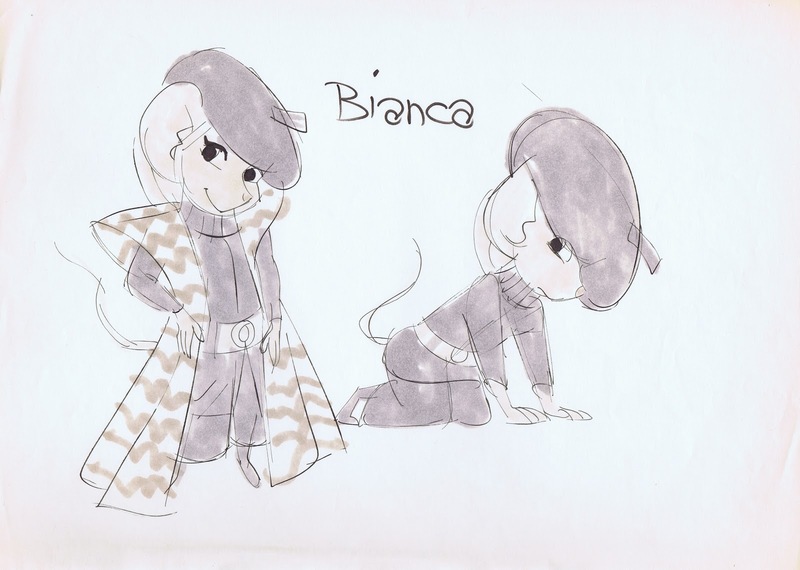 Beautiful solid sketches. 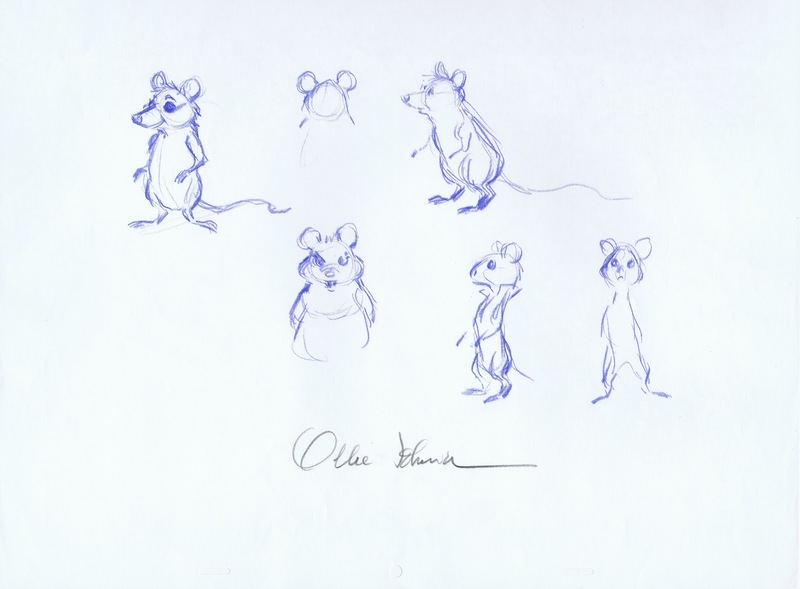 It is interesting from a psychological point of view that people are freaking out when they see real mice, but ever since Mickey Mouse audiences don't seem to get enough of them when they are animated.